A staggering collection of tall tales, enriched by an exaggerated sense of humour and fun (with not a little bit of word-play thrown in for good measure) that should not fail to raise the audience to a heightened sense of elevated delight, even as it casts a wry look on modern life. Ordinary characters and how they react to extraordinary situations form the focus. A picture is formed of a world in which everyone has their own problems, perplexities and personal demons to wrestle with, to conquer and to overcome. The stories told here are meant to make you laugh, make you cry (not necessarily in that order), maybe even make you cringe as you empathise with the various predicaments that the author so unflinchingly portrays. Most of all, these stories are meant to be shared. Coming soon in e-book formats – watch this space! A collection of poetry and prose that represents a personal odyssey but also addressing the current state of the world, as the author sees it, probing key questions that concern the survival and fate of the human race. Man cannot function solely on his own ego. Recognition of the shared human experience and a refusal to let the prejudices of the past dictate the present are what inform the author's view. Can any legacy really be so sacred as to be oblivious to the harm it may have done, on any level, even if unintentional? Issues of 'faith and fatherland', church and state figure prominently. Where do we all stand at this juncture in history? Can the human race continue along the present path? Just what is the legacy that we have been bequeathed and what do we do with it? While the starting point of this volume may be from the perspective of an Irish Catholic who grew up in De Valera household, with portraits of 'the long fellow', JFK and the Sacred Heart adorning the walls, that is not where the story ends. Rather, the view posed represents a certain summation and an attempt to see beyond the walls that have been imposed. A soul-searching body of work that invites the reader to do the same. 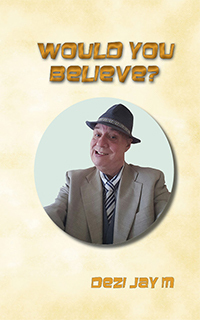 Coming soon in other e-book formats – watch this space! 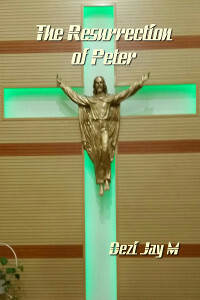 The Resurrection of Peter by Dezi Jay M is an allegorical tale, told by way of a family saga (meet the Math-Zingers!) that could be said to represent a non-linear interpretation of the history of Christendom since the Middle Ages, focusing in particular on the role of the Church of Rome within that historical timeframe. Irish Catholicism gets certain attention too. The narrative wavers between weighty deliberation on serious issues, to the outright tongue-in-cheek, though it is probably best left to the reader to be the judge of what is intended. It contains the author's view of the current state of affairs within the Roman Catholic Church and attempts to chart a future path for that Church, at a time of great upheaval and changes, not oblivious to all that it has come through over a history that has spanned two millennia. It comes on the 500th anniversary of the birth of St Theresa of Avila who, along with St John of the Cross, engaged actively in the Counter-Reformation against the Lutheran influence. At the time, the church was corrupt, selling indulgences to worshippers in order that they shorten their stay in Purgatory. Of course, the only people who could afford plenary indulgences were the rich. Hence, there was one law for the rich and one law for the poor, a factor that forced a schism within the Church that has lasted to this day. The challenges that today confront the Roman Catholic Church mark, perhaps, the making or breaking of a 2000 year old tradition. It is the author's view that the future can only be assured against the backdrop of a solution that is primarily spiritual in nature: one based on an acceptance of the view that man cannot function solely on his own ego. Coming soon in print and other e-book formats – watch this space! The Day the Poppy Met the Shamrock is a personal account that deals with the problem of homelessness, charting one person's journey from homelessness to resettlement: not just a matter of physical abode but also the deeper, more searching question of finding a home within oneself. God does not close one door without opening another. 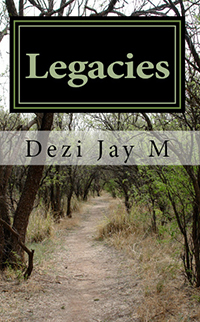 Dezi Jay M. grew up in Coolock, Dublin amidst abuse and addiction. At the age of 17, he was treated for compulsive gambling and later alcoholism, which took over his life for a while. He experienced several periods of homelessness, including that following the break-up of his marriage, in 2008. This is the story of the author's struggle within himself, leading to the epiphany that he experienced on a November day, at a WWI Armistice Day commemoration in the Irish Peace Park in Messines, near Ypres in Belgium. It was an experience that helped him to put his life into perspective. The profound sense of history that he felt on that occasion is described here in absorbingly vivid and moving detail. "It was a very cold day, though far from the conditions in the trenches during the fighting. With God's grace, I held the Irish flag above my head in the cold for one and a half hours, with the poppy on my heart while a Belgian bishop celebrated Mass. Yes, someone was looking after me; my heart was going in the right direction, releasing a long-held bitterness from my soul." For the author, seeing himself as a product of the society he was born into, being able to relate his own troubled past to his country's turbulent history, with its still unresolved tensions, marked the turning point in his life. Like all social problems, the issue of homelessness has to be addressed on an individual and personal level. The story does not end there however. 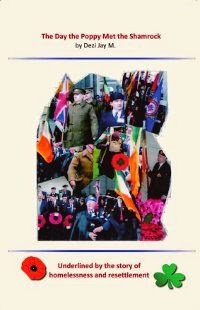 The Day the Poppy Met the Shamrock by Dezi Jay M is available to buy online, in its printed edition, from Amazon. Also available in ePub format from Apple (iTunes) and Kobo.